In the Northeast, male Wild Turkeys began gobbling and strutting in late February. Their courtship ritual usually starts before females are receptive, and continues into late March and early April, when mating typically takes place. Hearing a tom turkey gobble is as sure a sign of spring as the sight of one strutting. Before Hooded Mergansers seek out their nesting cavities in snags and stumps they engage in extensive courtship displays. Males tend to outdo females when it comes to these displays. As the accompanying photograph illustrates, courtship occurs in small groups consisting of at least one female and several males. Males engage in many more types of displays than females. The extent of female courtship consists mainly of head-bobbing and head-pumping. Male displays include crest-raising, head-throws with turn-the-back-of-the-head, head-pumping, head-shaking, upward-stretch, upward-stretch with wing-flap and ritualized (repeated) drinking. While coyotes form packs consisting of two breeding adults (the alpha pair) and up to eight offspring, they often are solitary hunters, leaving only one set of tracks. At this time of year, however, it is not uncommon to find two coyotes traveling together. The reason for this is that the peak of coyote breeding season is in late January and February, and for two or three months prior to this they engage in pre-mating behavior. 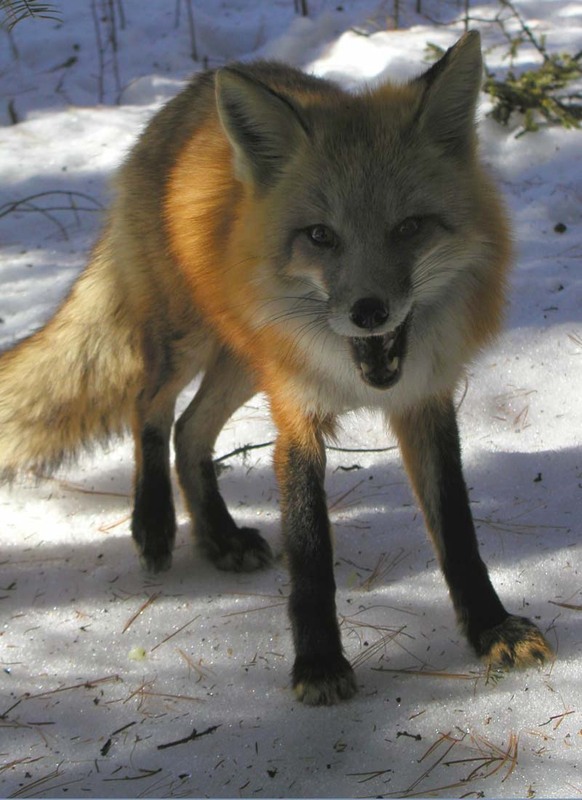 Signs to look and listen for include two sets of tracks (headed in the same direction) that periodically separate and then rejoin one another, scent marking and duet howling. 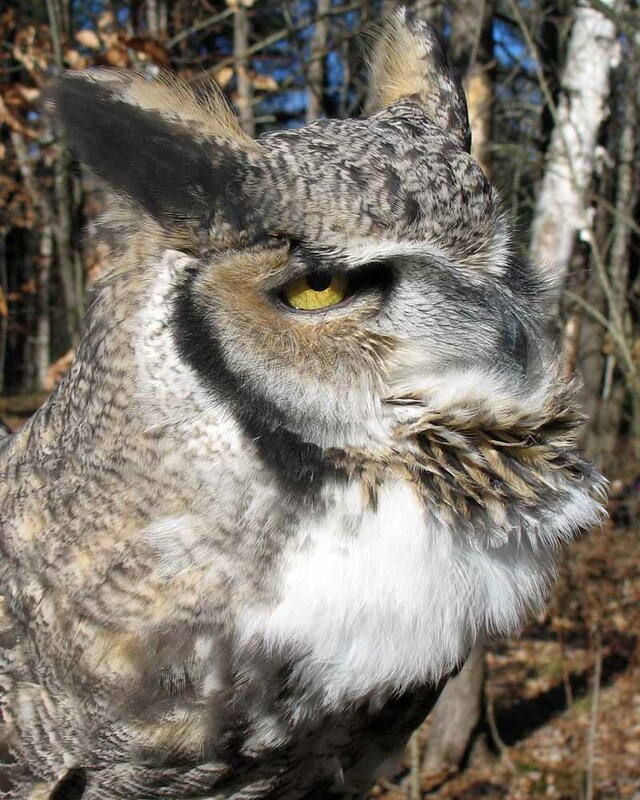 The intense hooting of Great Horned Owls begins in late December or early January, about a month before actual mating takes place. Males call during most seasons of the year, but the period when the males are hooting vigorously lasts for a month or six weeks. During the mating season the deep, rich tones of the males are occasionally interspersed with the higher and huskier notes of the females. The answering calls of the females are heard for only a week or two, toward the end of the six-week period. Wild tom turkeys have a number of ways of impressing hens in addition to displays involving their feathers. Among them are wattles, caruncles and snoods — fleshy protuberances that adorn their throats and beaks. A large wattle, or dewlap, is a flap of skin on the throat of a male turkey. 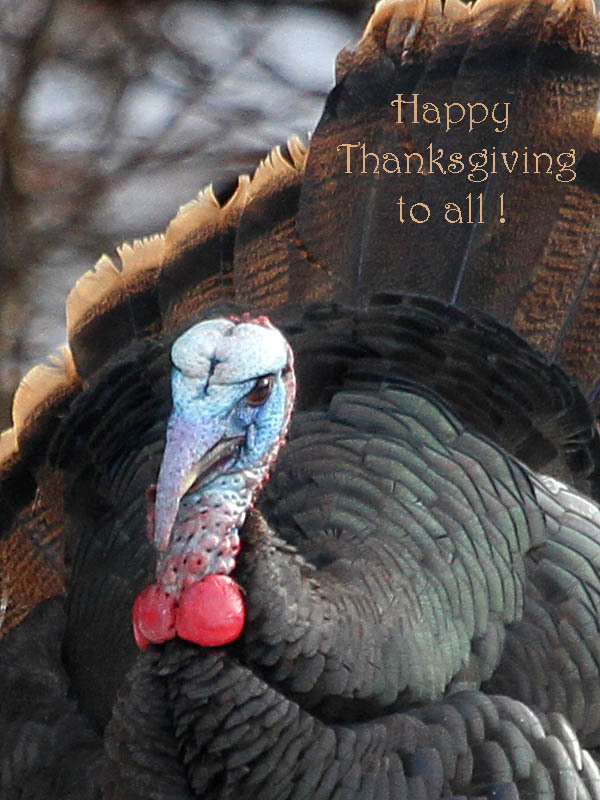 The bulbous, fleshy growths at the bottom of the turkey’s throat are major caruncles. Large wattles and caruncles have been shown to correlate with high testosterone levels, good nutrition and the ability to evade predators, which makes the genes of a tom turkey with them very desirable to a female. The snood, another fleshy outgrowth which hangs down over the male’s beak, is normally pale and not very long. When he starts strutting and courting a hen, the snood (and caruncles) becomes engorged with blood, making it redder and longer. This impresses both male and female turkeys –the males avoid or defer to him and the females’ interest in him is heightened. A longer snood has also been correlated with a lack of internal parasites, making toms with large snoods even more irresistible to hens.